Pat Mills has announced on his Millsverse site that Defoe should be returning in spring next year drawn by Scottish artist and actor Stewart Moore. It’s based on real-life plans by British scientists to send an expedition to the Moon in the 17th century! Colin McNeill told Pat about Britain’s first space exploration program by Bishop Wilkins, Cromwell’s brother-in-law on which the story is based. Subject matter sounds mental, too, with more potential for action and adventure than the world of 17th-century publishing. Pity MacNeil isn't illustrating this one - can't help wondering whether he would have stuck around if they'd gone with this idea first. Looks like that art is going to be pretty good. Moore has also contributed to Futurequake. This is grand news. Stewart also has a strip running in the current Aces volume as well. Thanks for the mention Sheridan. Defoe has never been a personal favorite, but will continue the tradition of monochromatic beauty it seems. I love Defoe, and couldn't be happier to get more of it! Those samples look pretty amazing, too. 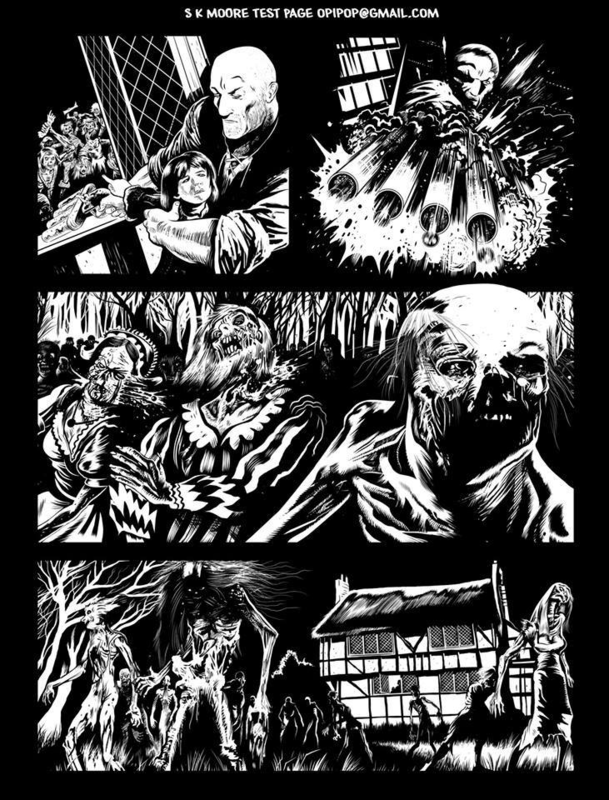 Nice and grungy, always feels right for a story that's very much about the muck and waste of 17th century London. But will it be enough to spur on a third trade collection?? That looks, uhh, nice? Sorry to lose Colin, I thought Defoe was some of his best work (and that's saying a lot), but Moore's version is very promising.